Most of Chinese citizens believe that investing in gold jewelry is a good way to avoid inflation, Rough & Polished agency said. 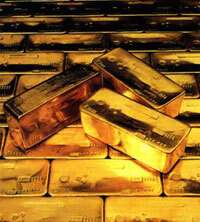 The IMF has received the profit of $7.2 billion from gold sales. A part of the funds is to be used for crediting poor countries.